This is a guest post from Kerry Gallagher, a Technology Integration Specialist at St. John’s Prep, a 1:1 iPad school serving grades 6-12, and former middle and high school history teacher. We learn about the lives of our friends partly through the images they share with us on social media platforms like Instagram, Snapchat, and Facebook. Similarly, students can learn about history by piecing together clues from primary source images, acting as investigators who analyze events. When students uncover history themselves, the lessons they learn go deeper and last longer. 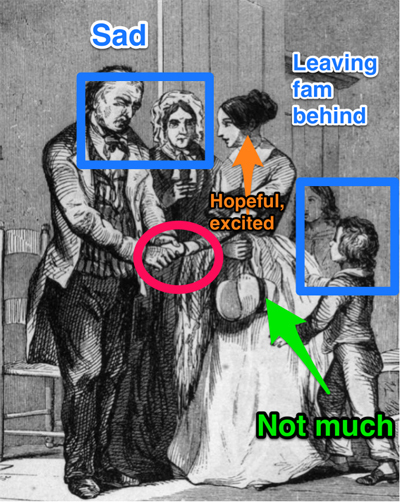 EdTech-enhanced image annotation is one way to make this deep learning possible with primary sources. Putting the image up on a big screen at the front of the room and discussing it as a large groups has never really been enough for me. Sure, my students would listen and dutifully take notes. But they weren’t truly engaging with the image and scrutinizing the details. They were merely recording what they heard. Mobile technology and image annotation tools have changed the nature of this learning experience. 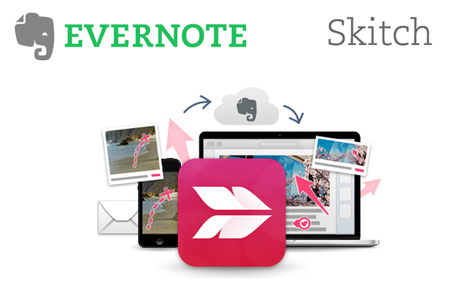 In our classroom, the annotation tool of choice was Skitch, which we combined with Evernote as a digital notebook. These apps work across mobile and laptop platforms, so it was perfect for my BYOD (Bring Your Own Device) school. Below are a few examples. The image above, found in the online exhibitions section of the Library of Congress, provided evidence of the fervor around the Second Great Awakening. 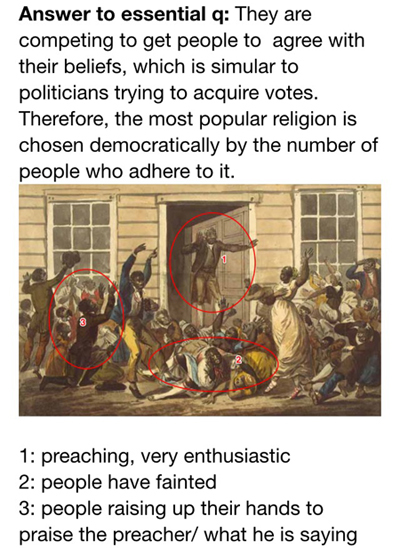 The student annotated the image in Skitch, inserted it into Evernote, and added analysis notes and an answer to the lesson’s essential question. After reading letters and journals of young women who wanted to go to Lowell, students analyzed “Starting for Lowell” and tried to identify what each person might be thinking or feeling at the moment when a young girls leaves to go to the city with Skitch. 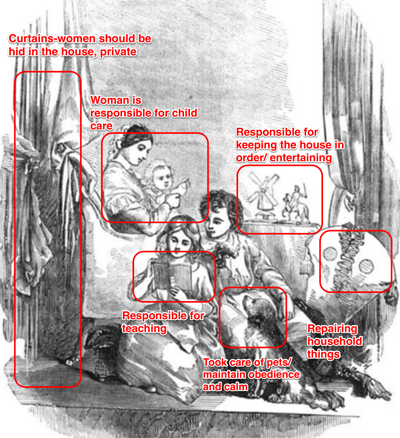 Students read about the “Sphere of Women” and examined how this idealized illustration set an impossible standard for women who were isolated in their homes for much for their lives. For more help with annotating with Skitch, check out the links below. Looking for more on how technology can be a game-changer for teaching and learning in your classroom? Stay tuned for the next related post, which will provide further insight into deep image analysis. We will combine great essential questions with these ed tech tools.